This summer, I pitted a pair of sunglasses from Native and Smith Optics against one another to see if one could outperform and stand out. I got recommendations from both companies for a pair that exemplified a lightweight, performance-oriented, interchangeable lens model. My goal was to find a pair of do-it-all glasses for those of us who cannot afford a shade for every occasion. The picks — the Native Grind model and Smith’s Trace — looked to fit the bill. That they both came with polarized lenses was not a requirement, but a nice bonus. To test the shades, I’ve logged serious, er, face time on training runs and rides, in bike races, and for every day use around town. Both have performed well and would serve the adventurous man or woman fine. But I aimed to find which was the best buy. 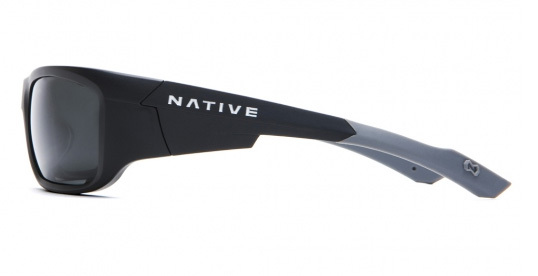 Native’s Grind, with the Asphalt frame and polarized lens, is priced at $150. They are super lightweight and have angular and tough-looking frames with rubber tipped arms to hug the head during activity. Along the brow, the Grind is vented so as not to fog, and it has a softer rubber strip where the frame contacts the face. Nose pads are also rubber. It’s almost as if the the Grind is half goggle/half shade. The “Cam Action Hinges” snap the arms positively into either an open or closed position, a nice touch. Accessories included with the Grind are two lens choices you’ll use most: a polarized and a low-light condition lens. A hard case, a soft case, and a lanyard are included in the $150 package. How’d they perform? I really appreciate the light weight and I swear they make me look faster. Switching lenses is easy, and the frame holds the lens far more securely than similar sunglasses I’ve owned in the past. A few gripes, however. Those rubber tips are too pointy — trying to put them on one-handed, they scraped painfully along the sides of my face. You gotta use the two-hander method. And for my particular face, there was more contact from the rubber brow pad than I wanted. During a race, that extra material seemed to push the shades away from my face, requiring frequent readjusting. Not what you want at race pace on singletrack. Doubtless, some of you will find this to be a non-issue, though. Native markets the Grind for medium to large faces. For sporty types with a preference for edgy styling, the Grind is a solid choice. If they fit you right, that is. The Smith Trace with polarized lens, priced at $140, is clean, sleek and minimal. Small, inset rubber pads discretely keep the shades in place. There are no pads for the nose, but, honestly, I didn’t miss them. Smith’s proprietary Interlock lens change design, I have to admit, is super trick! A twist of the arm and the frame opens slightly, allowing removal of the lens. Twist the arm back to its original position and the lens is locked solidly in place again. Accessories include three lenses — a polarized gray, clear mirror, and the Ignitor (for low-light). The glasses come with a hard case and a soft case. The verdict on the Smiths? Overall, the Trace is like an undercover detective — unassuming looks, but full of hidden skills. They are lightweight and comfortable on my face. (Larger faces might try the similar but larger Spoiler model; smaller faces, the Whisper model.) They were easy to put on one-handed. Fit was good, with the shades staying comfortably secure, even when terrain got crazy. Switching lenses was easy and (gasp!) kind of fun — I would routinely geek out and twist the arms just to watch the mechanical motions. Styling says “street,” but these shades are just as at home on the move biking or running. If you like to match the lens to the lighting, you’ll love having the three lens options. 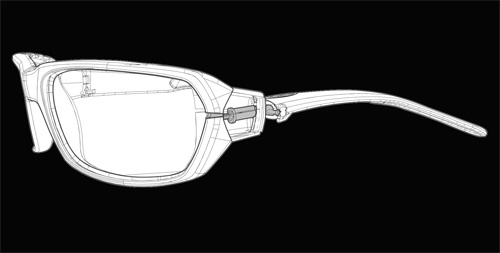 As mentioned, both the Smith and the Native models feature polarized lenses and it’s worth noting that they both sandwich the polarization between two lens pieces for longevity. Many polarized models use an exterior polarized coating, which is not as durable. Lens construction differs greatly between these sunglasses. 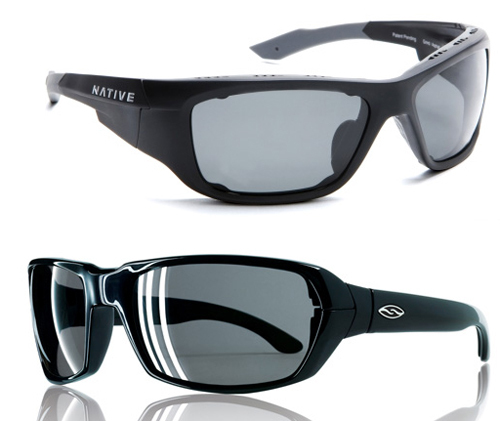 Native lenses are heated and shaped over a form (thermoformed). Smith builds a tapered lens (they call it TLT), thinner in the center, then tapering toward the periphery to compensate for the curvature of the lens. This makes the Smiths more optically advanced. But can a consumer see or feel the difference? I am no optics nerd, and the difference was not huge to me. Dollar for dollar, Smith offers an extra pair of lenses and a fair amount more technology for its asking price. Between the two, the Smith Trace easily gets my nod for “best buy,” but Native wasn’t too far off the mark. The Native Grind glasses performed pretty well, despite not being able to boast a techy resume. Styling is bolder with the Natives, and they felt lighter and more sporting somehow. But a little refining is needed if they’re going to steal customers from Smith.